Jo Wood was appointed as the ACT’s first permanent Coordinator-General for Family Safety in October 2016. 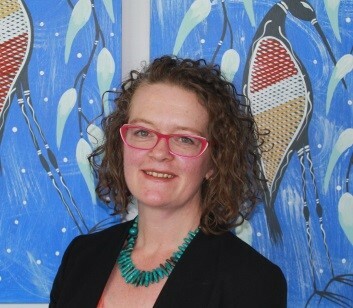 Jo has significant experience in the Australian Public Service across employment, economic strategy, and Indigenous policy and program delivery areas. Most recently, Jo was Group Manager at the Australian Department of Employment. There she was responsible for policy on jobs growth, women’s workforce participation, and social impact investment. She also led the Department’s innovation framework and behavioural economics capability. Jo has demonstrated strengths in building relationships and partnerships in sensitive environments across the private sector, all levels of governments, service providers, the academic sector and communities. This experience is invaluable in her role as Coordinator-General for Family Safety in the ACT. working closely with colleagues across government and the community sector in the ACT to ensure reforms are grounded in the direct experience of people with lived experience of domestic and family violence and sexual assault and the frontline services working to support them. The Coordinator-General is supported by the Safer Families team within the Community Services Directorate. research and consultation across government to inform the introduction of family violence training to frontline workers.